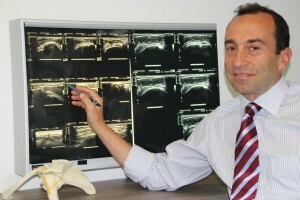 Mark Haber is a Specialist Orthopaedic Surgeon focused on advanced shoulder arthroscopy and open techniques. Mark has performed over 2000 shoulder arthroscopies and pioneered modified techniques for arthroscopic rotator cuff and labral repairs. The techniques are now used in Europe, Asia, England and in the US. His ongoing research includes biomechanical studies and rigorous postoperative evaluations, looking at ways to optimize the procedure and rehabilitation. He focuses on selected shoulder procedures and believes “Excellence is an art won by training and habituation … We are what we repeatedly do.” Aristotle. 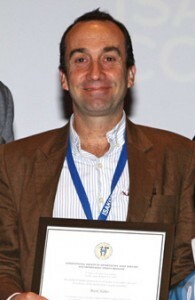 He teaches advanced arthroscopic shoulder techniques to surgeons in Australia, Asia and Europe, and frequently welcomes domestic and international visitors to his operating theatres.